MTB or FA for CK Prep? 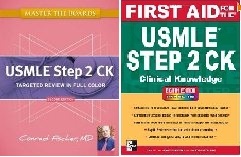 I recently studying for STEP 2 CK and I would like to know which book is better for the prep. I already bought MTB2 and FA for CK, which one is better, both seem to be very nice. Most people on this forum tend to appreciate the MTB books over FA for step 2 ck. Alot of other people recommend to use MTB 2 and 3 together, MTB 2 specifically for its IM and Psych and MTB 3 for the rest. Another book i tend to see that students enjoy is Step up to Step 2 CK or Step up to Medicine. But since you have both books, i would utilize them both none the less. Just make sure to look up FA Step 2 CK Errata to make sure you make the corrections that usually every book has.